So, there's more breaking news on the host family issue. I was just alerted that my host family has been switched, but I have to say, I'm much more excited about this new family. They are a five person family, with a mother and father, a grandmother, and two older sons (whatever that means). They also have a small dog, live 5 min. from Shibuya (by train)!! and my room will have a toilet and a bathtub. What's even better is that the dad works at the shrine next door (how awesome is that, honestly), and the mother teaches traditional tea ceremony and calligraphy. I mean could I even ask for cooler people. So, we'll see how that turns out. Hopefully they don't pull a switcheroo on me again, because as it stands, I'll be in a house in downtown Tokyo with an awesome, artsy family. And now on to our Alice Nine member of the day: Shou. Shou is the vocalist of the band, and just turned 28 last month (though you'd never guess it). His birthday was July 5, 1981 and he was born Kohara Kazumasa, which is an awesome name, if a little long. After Tora, Shou is the tallest member of alice nine, which becomes rapidly apparent everytime he stands centerstage. Shou is a very stylish type of fellow, throwing himself into the pursuit of trendy clothes and shoes, when he's not off somewhere playing his video games (the only truly nerdy crime he commits). In fact, I read somewhere that he even knows how to cut hair, which only furthers his image of a stylish trend-setter. Despite being the band's singer, Shou is also talented on guitar, though he has more or less always preffered the seat of vocalist in his past bands (Lost Age, and Givuss, which he was in with Tora). More than anything, Shou is unfailingly humble and gratefully for all that has been given to him, never failing to thank photographers, managers and the like on his blog at every turn. So concerned is he with the well being of his fans, that he has said he takes personal responsibility for any injury or discomfort felt by anyone going to their concerts (it's a ROCK concert girls, you might get pushed around). 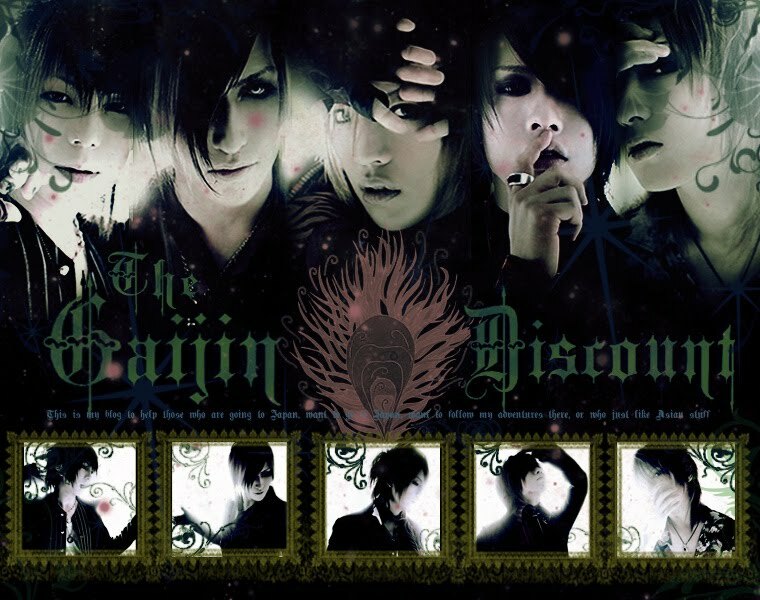 For the promotion of their latest single, Hana, Shou's blog featured a five story tall poster of him, and in the caption underneath, he apologized for being the only member featured. Most assuredly, all of the members admire and look up to Shou, though he's always more than happy to share the limelight with anyone that might want it. 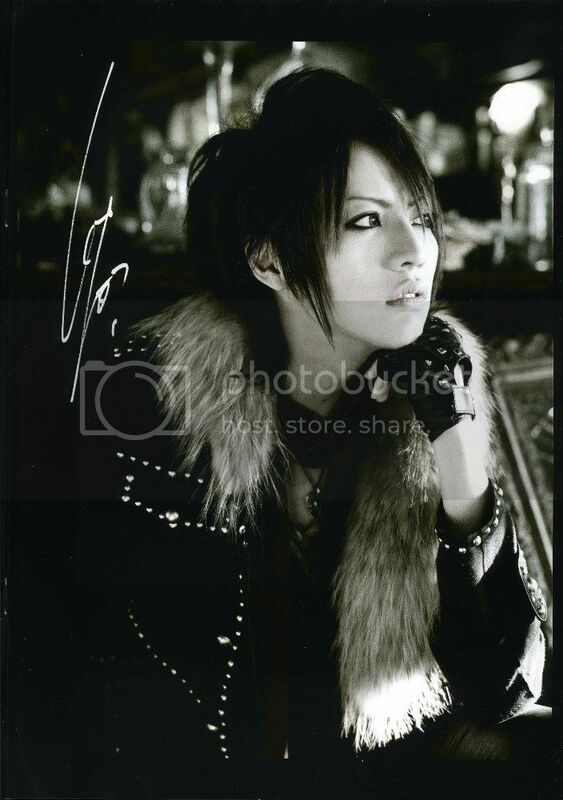 What Shou brings to the group is the artistic crafting of melody and poetic verses of song particular only to him. At heart, Shou is a very emotional, poetic soul who says he ventures into art galleries when in need of inspiration, and the use of color, light and infinitely difficult imagery bleeds through into their songs, though almost always tinged with feelings of hope (in contrast to some other bands like The Gazette). And so today, I would like to share a song that showcases Shou's artistic nature: the beautiful name.